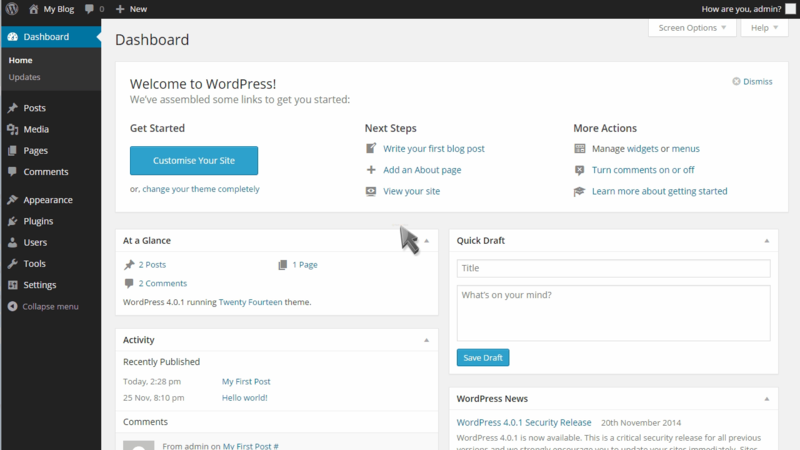 This tutorial assumes you’ve already logged in to WordPress, and will show you how to update your WordPress installation. First, you can see which version of WordPress you’re running right here. Click the Updates link in the left margin. This is where you go to update your WordPress installation. You should click “Check Again” to make sure your installation is up to date. 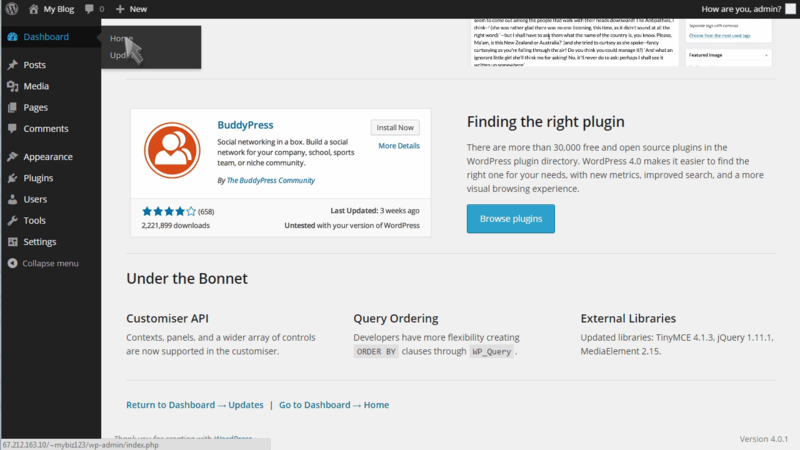 You can also update your plugins, themes and translations from this page too. If there’s a problem and WordPress needs to be re-installed, you can do so here. Once the installation is complete, you’ll see this welcome screen. This is the end of the tutorial. 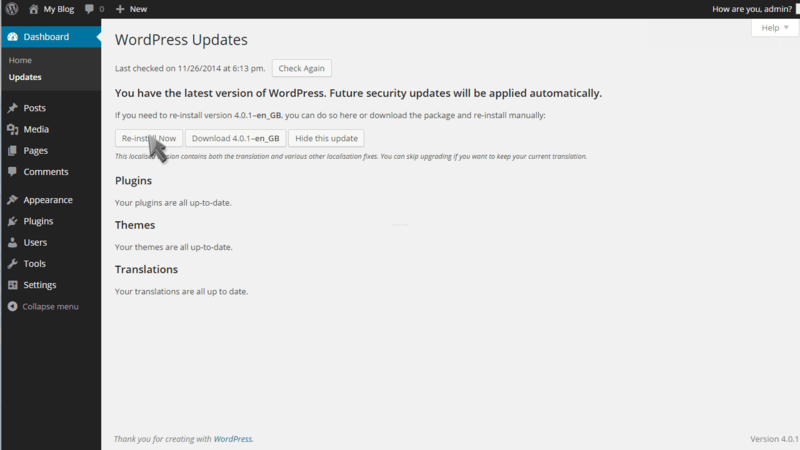 You now know how to update your WordPress installation.